HomeUncategorizedDetroit March Against Racism & Capitalism! All around the world from Detroit, Ferguson, to Ukraine the capitalist class is on the assault against poor people everywhere. Whether they’re shutting down schools, cutting food assistance programs, shooting unarmed people in our streets, or dropping bombs on innocent people abroad they’ve made it clear that there’s only one thing they want: everything! Capitalism has proven itself to be nothing but a parasitic system based purely on greed with no regard to the needs of the people, which threatens not only our own lives but all of the life on the planet. They’ve destroyed our neighborhoods with unemployment and foreclosures. They’re shutting off our water. They’re plundering the city in a bankruptcy they threw us in. They’ve put the squeeze on us, it’s time we put the squeeze on them! 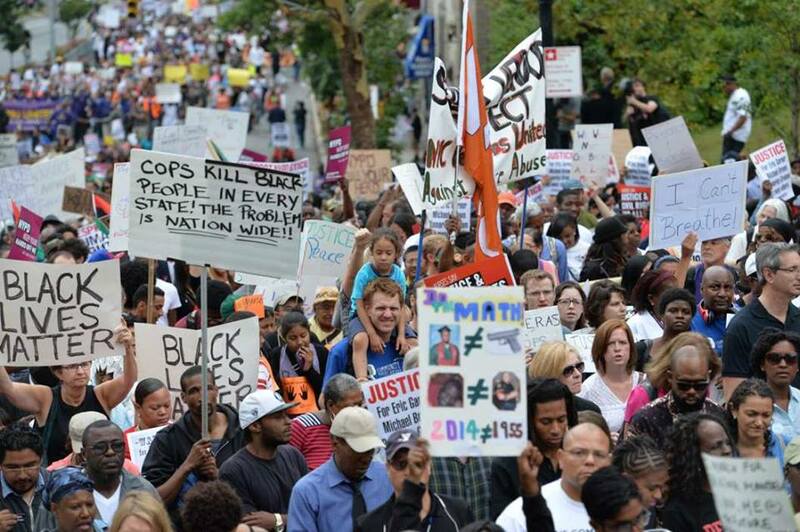 Put an end to racist police terror! Justice for Michael Brown and Eric Garner! A job is a right! A home is a right! Food is a right! Education is a right! End military interventions at home and abroad which put poor people against poor for the sake of profit for a few!